DID YOU ATTEND BISHOP HALL JUBILEE SCHOOL? What is the color of boy’s summer uniform trousers? 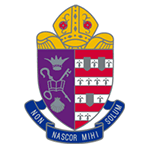 Copyright © 2019 Bishop Hall Jubilee School Alumni Limited. All Rights Reserved.